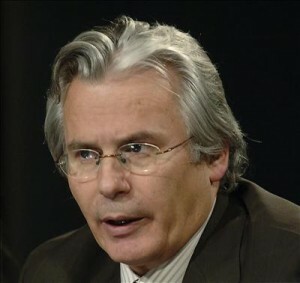 The Guardian today: “Baltasar Garzón, who has taken aim at Augusto Pinochet and Silvio Berlusconi, among others, now finds himself pursued on three different fronts as a series of writs challenging his impartiality and accusing him of abuse of authority are investigated by the supreme court. [...] his supporters see the attacks as an orchestrated campaign designed to prevent him investigating corruption in the rightwing opposition People’s party (PP) and to punish him for daring to challenge one of Spain’s most potent ghosts, former dictator General Francisco Franco. They also see personal enemies within Spain’s highly politicised judiciary ganging up against him.” More in The Guardian.